The darkness; some of us flee from its macabre peculiar shadows, while others fall right into the fiery arms of its boundless abyss; where there are zilch traces of light and chambers of repulsive undesirable secrets! And Author Ken Allan Dronsfield unveils them all! But there are not just skeletons hiding inside the closet of a shadowed mind in this riveting chillers edition; there are also poetic vessels stowed with centuries of twisted tales and gluttonous nightmares, containing unfathomable evils of iniquities that harvest and grow the black, dark seeds of infinite sin and transgression, birthed with warped roots. So beware, don’t ever become a lost soul of the cellaring, it’s nothing like being lost in the dark. No. It’s much, much worse. 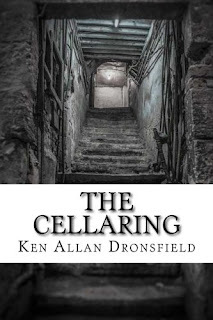 Author Ken Allan Dronsfield numbs our hearts, literally, with his bone-chilling poetic narrations from, The Cellaring; where we read of the explicit terror that vengefully rapes the earth of lost souls and deliberately opposes the light. The author extracts these morbid depictions directly from the depths of what he references to as, a Shadowed Mind; the perfect host to accompany you as each poem travels beyond the blackness of the universe, and deeper than the blank silence that exists at the depths of the sunless ocean! To begin, the title seems to signify someone possibly confined to a cellaring, hence the title of the book, which happens to also be the name of his first featured poem. Now, what’s in this cold underground crypt-like place is the important question! Normally, it is used to store wine, but this cellaring holds something a bit more sinister! Close your eyes and imagine…an anonymous and strange character standing ‘in a burial dress with a purple lilac purse and Easter bonnet’. Your nose struggles to breathe as you try your best to avoid suffocation, as the cellaring reeks of disintegrating bodies! Oddly enough, the clandestine character in the poem can actually bear the foul aroma! Considering the theme of this book, whoever, or better yet, whatever it is…must not be human. 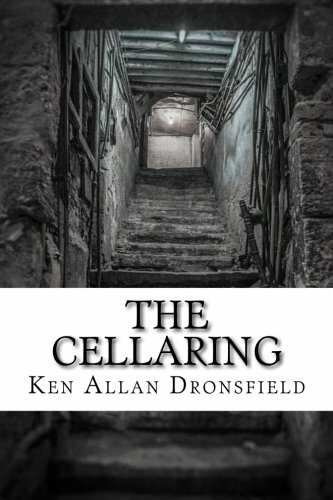 Perhaps, the hidden warning in this poem is: beware of what may exist in the cellaring! Many of his poetic thrillers are written in brevity, yet do not lose the moment or eliminate useful detail; because of this, the result is mini poetry-tales of horror with a beginning, middle, and end. Moreover, the arrangement and clever writing style identified with the horror genre perfectly! He made every word count and relate to the specific cadence the poem presented, crafting metaphors that incite graphically striking and realistic imagery that is unsettling to any good spirit. Reading selected poems make you feel as if you are becoming lost in the thick, cloudy, blackness of the noxious smoke from the fiery flames of wickedness, the entire time searching and seeking for some beacon of light, a small glimmer of hope. But on this riveting journey, there is none. Only the noise of the ‘Soulless Symphony’, the title of our favorite featured poem. In contrast to some of Ken’s other poems, it possesses a certain type of beauty and tranquility that almost seems peaceful. The author uses soothing and fascinating metaphors, saying, “enticed lyrical pearls…harmony upon heart” and “caged essence sings of red strawberry fields”; completely tantalizing! This piece was an ingenious creation of imagination and creativity, painting an abstract portrait of an unknown world where there is a feeling of uneasiness that something sinister lives within the seducing metaphorical compositions. The poem, ‘Penny For Your Soul’ is written like a classic, with a ‘grim-reaper-like’ character out hunting for souls. And guess what he’s offering for them? A penny. The beast apparently doesn’t feel a soul is worth too much, or this is just simply another hateful and evil act that feeds the beast’s ego. Either way, the lost soul wandering outside on a warm day, the month of May, is the perfect prey for this frightening nightmarish monster. The character has no natural zest for life, and the narrator tells us that they do not care if they live or die. Is this a sign of a carefree, content, and self-elevated individual? Or a snapshot of someone with, for some reason or another, a curiosity for the darkness? It isn’t hard to tell when we continue to read and the narrator tells us that the character dares to ‘nervously grin’ at the creature, and when he does, ‘the sky rumbles, the clouds part, and the winds blow’. Something sinister happens and we aren’t sure if our imaginations want to find know what! ‘Pink Flower (A Requiem for Death)’ serenely ushers expired souls who say “please take me home…” desiring a blanket of light, for death’s icy touch can be uncomfortably cold. This poem goes far into the earth where the spirit accepts it’s new place and home, buried underneath the ground, and one of the most chilling scenes depicted in this poem is when the narrator says “here I now lie deep in this hallowed ground, listening for the sounds of the infernal digging” as if the spirit or being is still alive…but are they? Pleading, the spirit listens to the sound of the infernal crew cover it’s burial to seal the end, once and for all, joyfully anticipating the new home that awaits it, where the pink flowers grow. And what of the place known as, “Old Haunted Grove”? In this torturous terror, Ken writes about a ‘tortured banshee’ and mentions a ‘long coiled rope’ to possibly suggest the torture originated from the suffering of a lynching, or hanging (a common punishment for women deemed as witches long ago). The style of this poem is unique, with the tortured banshee speaking directly to the audience, offering her hand to assist those who dare to walk the ‘slippery slopes’ of Old Haunted Grove, for it must be easy to fall along the long raucous ride (according to the banshee). There is also a poem entitled ‘Final Fate’ which stamps imprints on your mind and captivates you with it’s strange characterization, saying “I’m a lover without love; dishonest to the honest, beautiful without beauty” and “lost, but not alone”, a labyrinthine explanation in a parable-like format that challenges your mind to decipher the underlying meaning. Whereas poems such as ‘Hood of the Spineless Drivel’ are a lot more easy to decipher. This particular selection re-creates a moment that blood has forever stained and tainted human history, when ‘whips of black would splatter dark skin blood’ and dancing murderers ‘burnt crosses’ at the smell and taste of death. It is quite a disturbing poem and denotes cruel and inhumane behavior at the hands of man towards one another. Do where do the boundaries of the darkness lie? Conceivably, none. From earth to underworlds, the darkness can be hard to escape…our best advice; avoid it at all costs! To summarize our experience, Author Dronsfield did an exceptional job at bringing the concept of this book to life! It is atypical from many books we have read in the past, distinguished with a grim and grisly theme. We are impressed by the quality of the author’s writing, as each and every poem illustrates a specific scene, and not the simple scenes of apparitions and spirits on Halloween you may laugh at or take lightly… Ken’s creative and imaginative poetry compositions are hellishly real, with each individual poem granting access to an entirely foreign world; a sphere in which despicable corruption and death attempt to pull you into an inescapable web of shards and thorns. It is downright shocking! There is absolutely no doubt that the author lived up to the title of the book in this publication. He crafts words with such skill and expertise, constantly finding various ways of describing scenes, characters, and emotions without losing sight of the essence of poetry. Questions arise about the unknown that you aren’t sure you really want answers to and in the end, all we can do is only pray you never encounter The Cellaring. We rate this book 5 stars! Author Dronsfield is a gifted poet that will not only tell you poetry-tales of the darkness, he shows you…and it’s not too pretty. 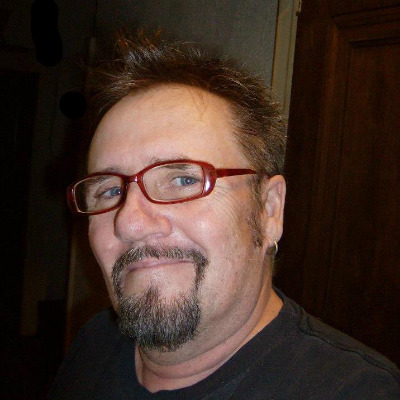 Ken Allan Dronsfield is a published poet and author originally from New Hampshire, now residing in Oklahoma. He loves thunderstorms, walking in the woods at night, and spending time with his cats Merlin and Willa. He is the co-editor of the poetry anthology titled, Moonlight Dreamers of Yellow Haze available at Amazon.com. His published work can be found in reviews, journals, magazines, and anthologies throughout the web and in print.